Lemon-Ade-Rita Lemonade Day Signage - Phoenix Creative Co. 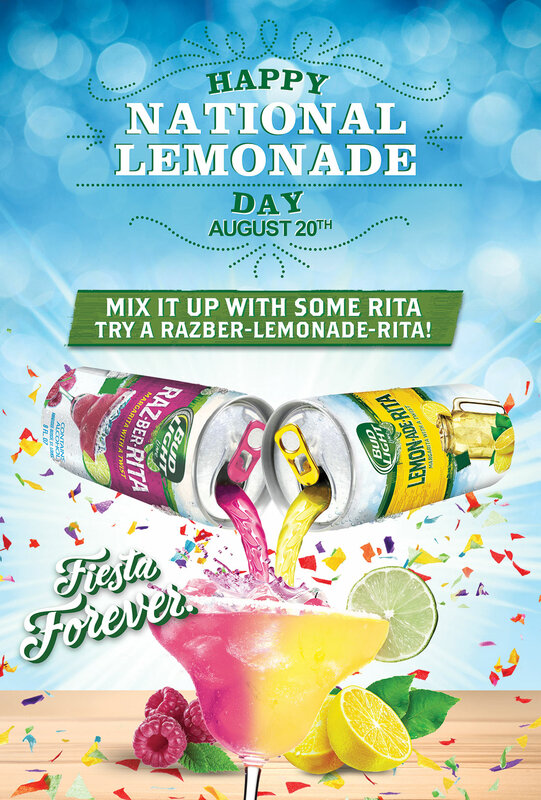 In an effort to promote the new Bud Light Lime Lemon-Ade-Rita product, we highlighted the new product around an unconventional holiday, National Lemonade Day. We did this through the development of custom sign-making graphics for wholesalers to place in large format (grocery/mass) and package liquor stores in a specific region of the U.S.